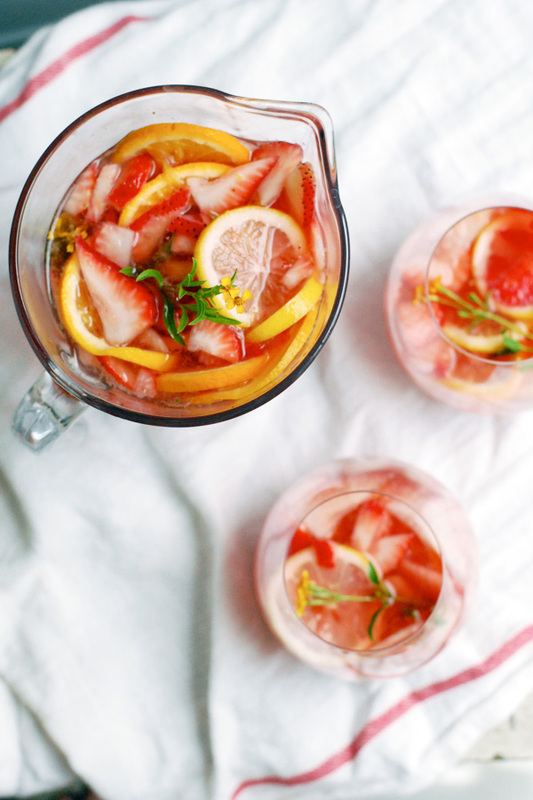 Sangria is a classic summer drink, and this one is made with beautiful rose wine which is one of my favorite summer wines. And seriously the strawberries right now are so delectable. So as you might have gathered from my last post that I'm trying to get my fitness in gear. As a result I'm drinking copious amounts of water. And while water is delicious in its own right, sometimes I'm like seriously if I have one more glass of water I will ... do something drastic. 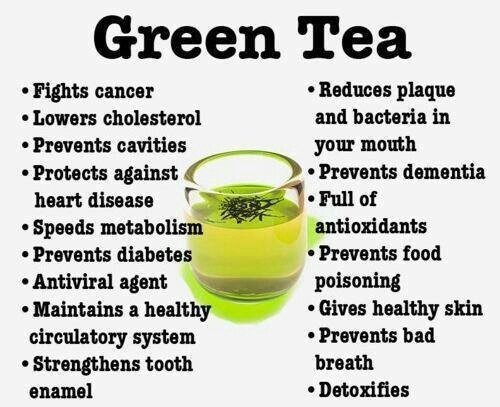 So, I've been drinking a lot of iced green tea because I love it. And check out the health benefits...I mean even if only half of them are true, it's still quite a list. Something that tastes good and it's good for you? That's rare. In terms of cocktails, I feel really good about this green tea mojito. You have a little fun, and you get some health benefits. Me likey mucho. 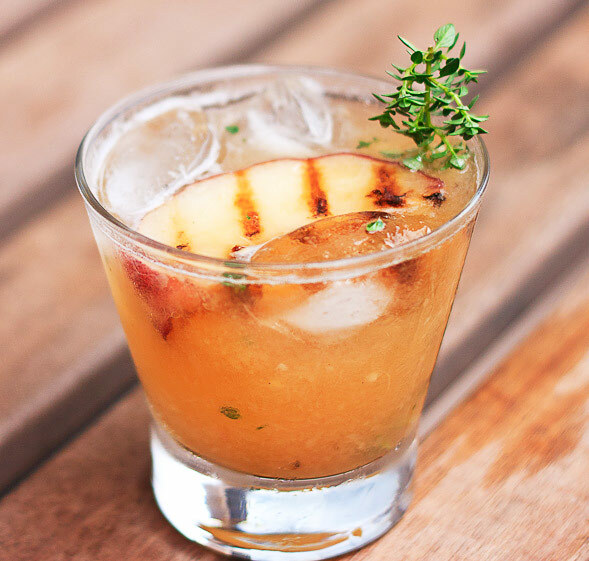 Grilled Peach cocktail - We just made grilled peaches on the grill pan the other night and I highly suggest it. Talk about a deliciously edible garnish! Speaking of peaches, I just about called up James and his Giant Peach when I saw this Frozen Peach Old Fashioned from Southern Living Mag. Gorge y'all, as they say in the south. 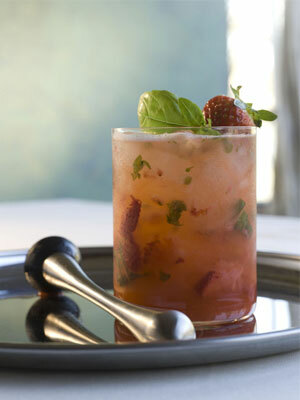 Strawberry Fields Smash ... I just simply love the name of this one. Strawberry Smash? Fantastic alliteration. 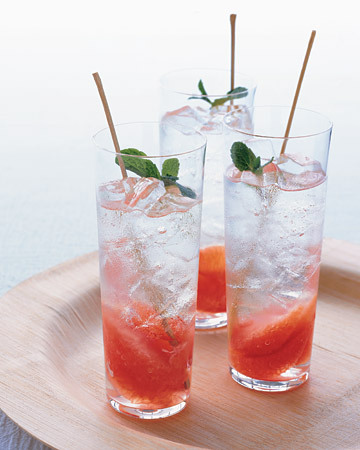 Speaking of Strawberries and alliteration, how about this Strawberry Shag cocktail? The world "shag" is not coincidental according to the recipe description. Hehe. This one almost sounds like a hot toddy but it's a cool toddy... 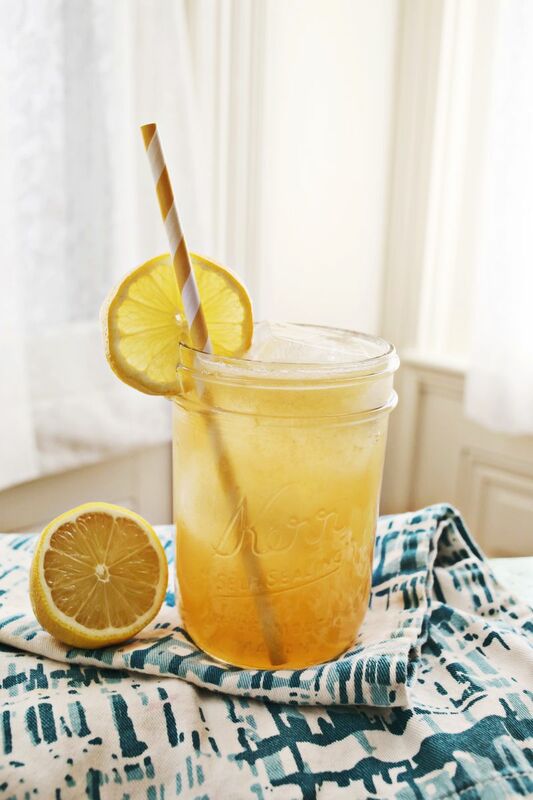 Whiskey with Lemonade and Honey. This could almost make me like whiskey. 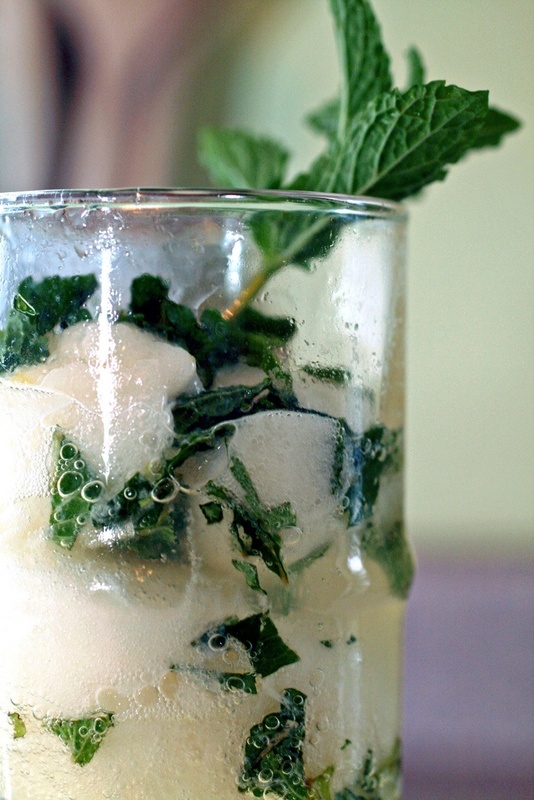 This photo is of a pretty combination of Champagne, lemon sorbet and mint. 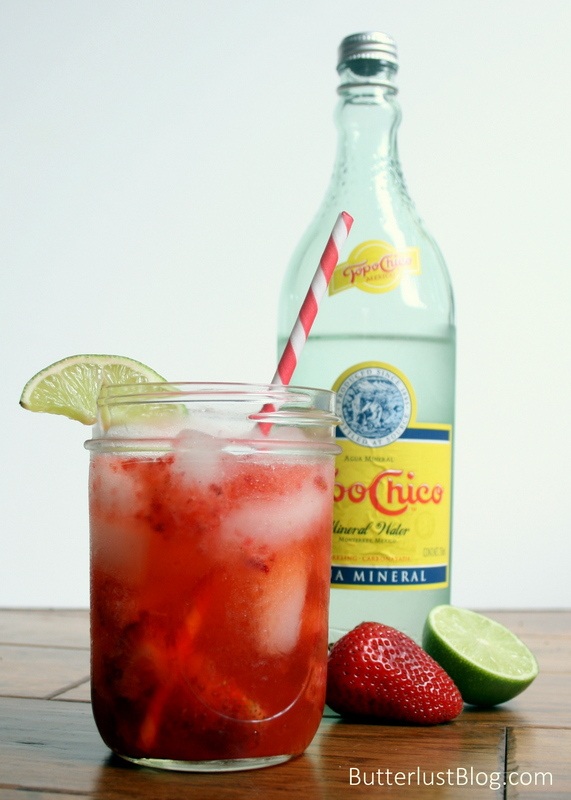 I can't find an actual source besides Pinterest but I'm pretty sure if you mixed up those ingredients you'd have yourself a mighty fine cocktail. This beautiful grapefruit mojito is what got me started on the cocktail train to begin with. Last summer I posted about my love for grapefruit HERE. 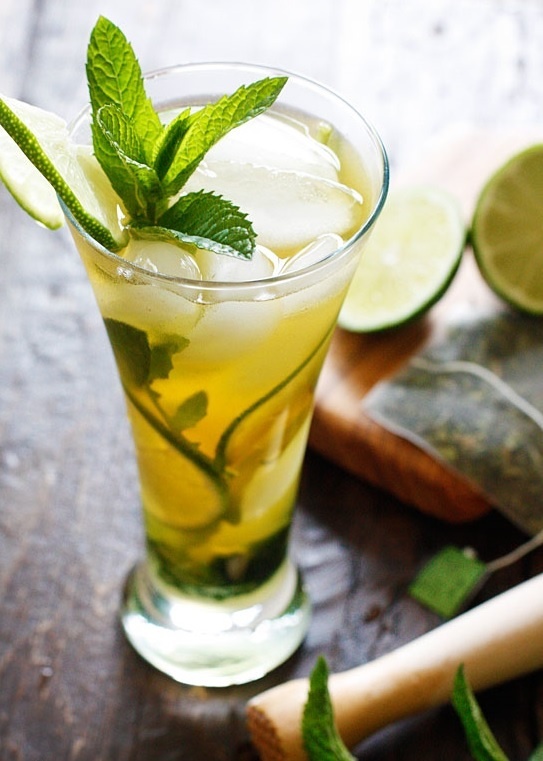 Adding this tart fruit to a mojito? It's a match made in summer-lovin' heaven. I made said grapefruit mojitos over the weekend and little Claire Bear my niece was fascinated by the beautiful concoction. Can we talk about her pinchable cheeks btw? Squeeeeal! 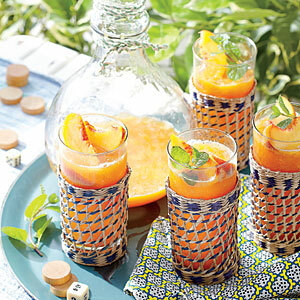 I hope you find yourself making some (or all, no judgement) of these cocktails to get you through the week! Cheers! Mmmmm….It’s been so long since I had a good cold summer cocktail. Let the weaning process begin. Mama needs a cocktail!